Here's a look at the easy treats I sent into Riley's class on Friday. She said the kids loved them! 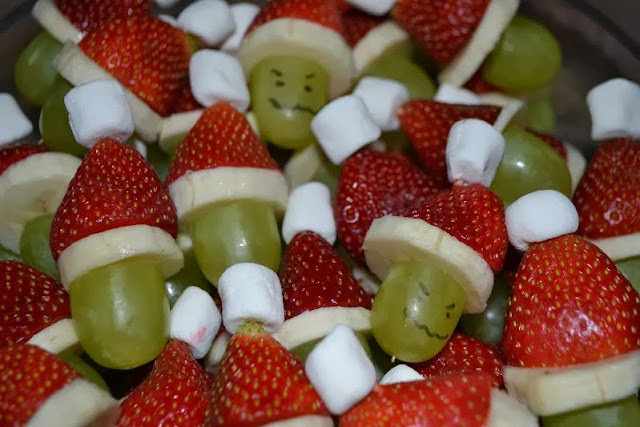 No worries, the Grinch's mean face was made with food safe decorator's marker! Strawberry+Banana+Grape+Marshmallow+Toothpick = Smiles all around! Not so Grinchy afterall! What a super cute idea!! And it is healthy too! I will try this one next year.